The glitch that stole Christmas? American Airlines and its pilot union are having a public spat over just how many of its holiday flights don't have a pilot assigned. The carrier said Thursday that "only a few hundred" flights remain without a captain due to a scheduling glitch. "Out of the 200,000 flights American will operate in December, only a few hundred are currently unassigned," American said in a statement. "That number of open flights continues to decrease thanks to our pilots who are stepping up to the plate and picking up trips to ensure customers are taken care of." 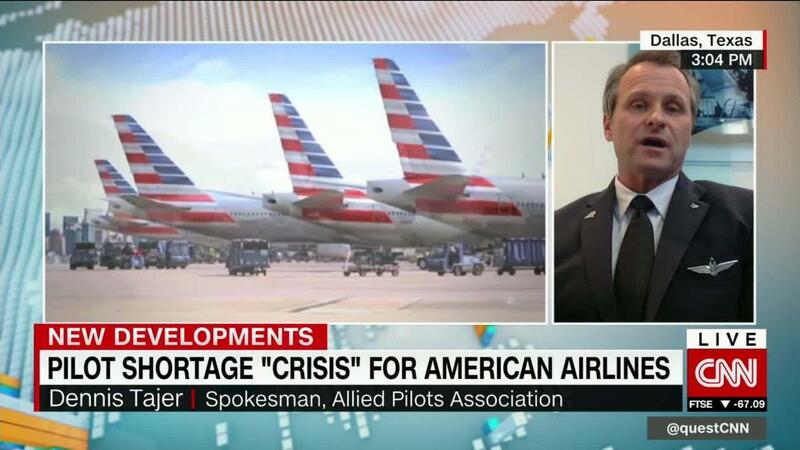 But the Allied Pilots Association said that's not true in its own statement on Thursday. The union said it has access to American's December crew assignments "in real time," and that "thousands of flights are still listed as unassigned." "We remain seriously concerned about the potential for significant schedule disruption for our passengers, pilots, and fellow employees during the critical holiday travel season," the union said. The discrepancy comes down to so-called reserve pilots, who can be called upon to help out as needed, according to the airline. American is including such reserve pilots in its assessment of the situation, while the union is not, American said. "We have more reserve pilots on hand in December than [in] normal months and they provide us with the ability to fly many of the trips that are currently uncovered," American said in its initial statement on Thursday. The company later added that its estimates and the union's are "based on the exact same data." So far, American hasn't canceled any flights over the mix-up. To help address the shortage, American Airlines (AAL) has been offering pilots who pick up certain open trips 150% of their hourly pay. But the APA, for its part, has advised pilots not to take the open flights, saying the airline's solution violates the union contract.